Thanks to all who came out for the May 04 event at the Fishmarket. There’s was lots of great comments and discussions. 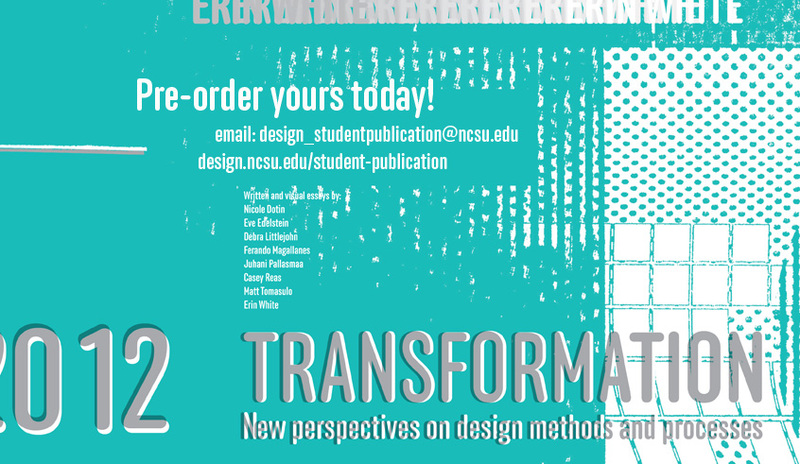 You can pre-order a copy of the Publication ($15) which is due out in July, by emailing design_studentpublication@ncsu.edu today! We’ll send you a Prospectus and an order card.